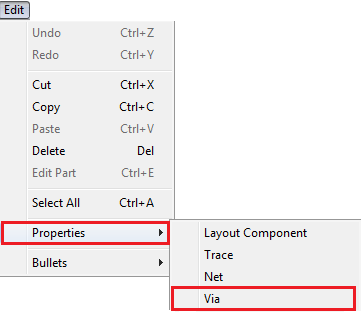 List of Material Editor window appears, Select the required fields and click on next button. 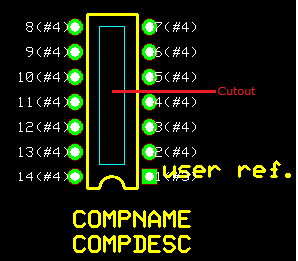 In the above window,the repeated component is shown highlighted. 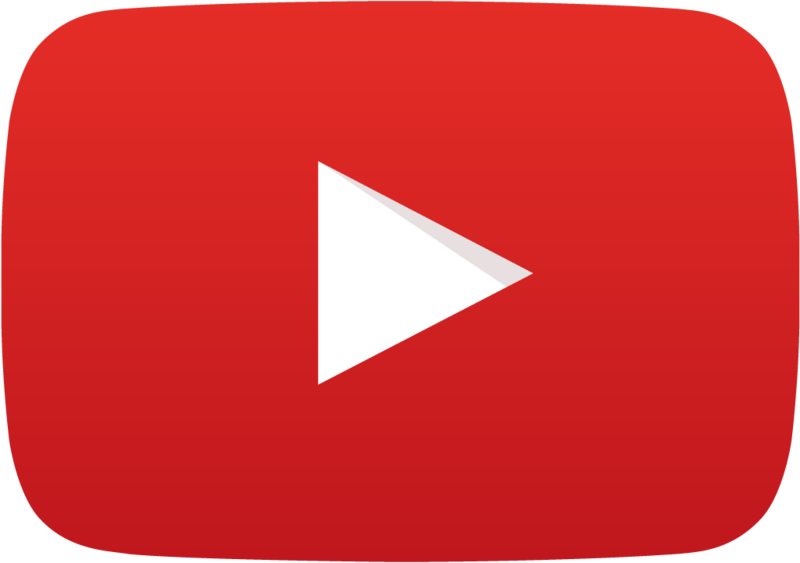 This will minimize preview window size. 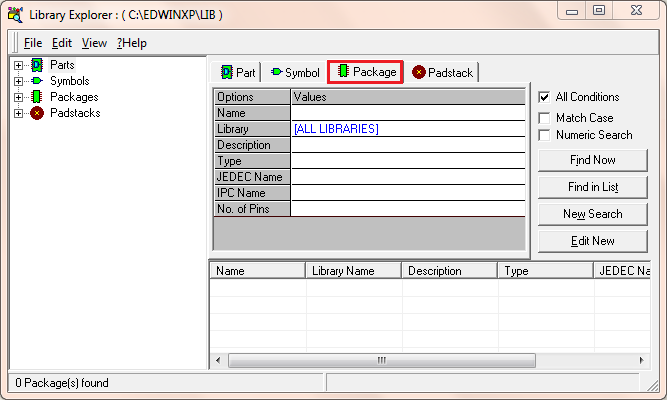 In Library Browser,the Packages can be searched by entering the number of pins.This option simplifies the task of searching packages of required pins. Entering the No. of Pins and Clicking on Find Now button will display all the packages with the corresponding number of pins. 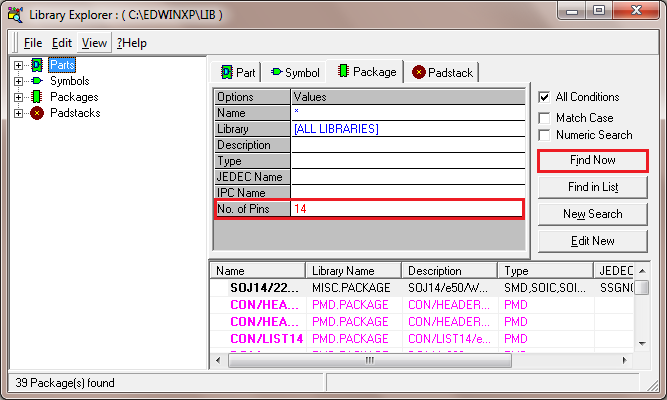 In the older versions of EDWinXP it is not possible to define milling slots in a package.In EDWinXP 2.10,the Library Editor is facilitated with the same. Open or create the package. 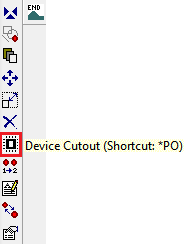 Create the required Cutouts and click on the END tool. The cutout created is shown in blue color in the below image. 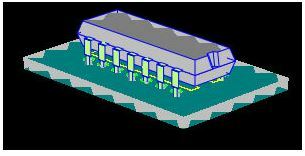 The 3d view of the cutout is shown below. The preview window is shown below. 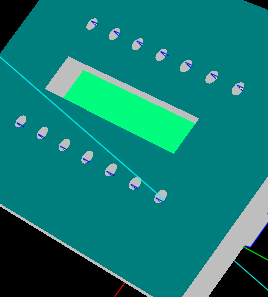 Clicking on the 3D View button will enable the 3D view of the component. 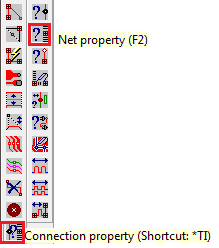 Click on the net.A Property Nets window appears. Name and status is facilitated with drop down lists with existing nodes.This will avoid mistakes. 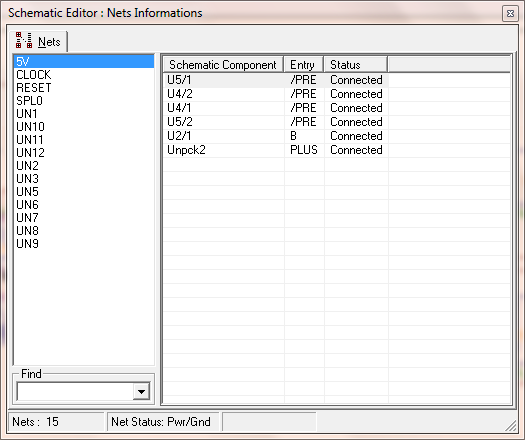 The Schematic Editor Net Information window appears as shown below. 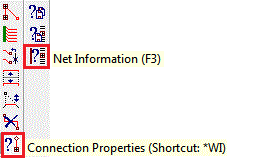 This window shows the components of each net and the status,whether they are connected or not. 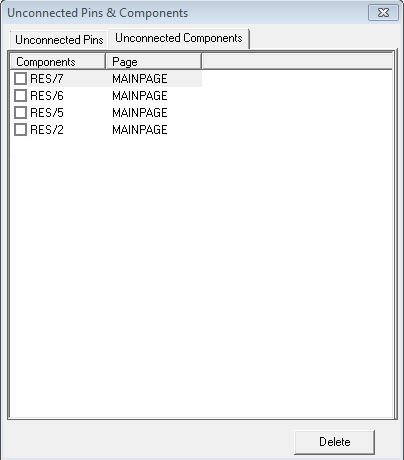 The Schematic Editor Info menu is provided with an option called List of Unconnected Pins & Components. 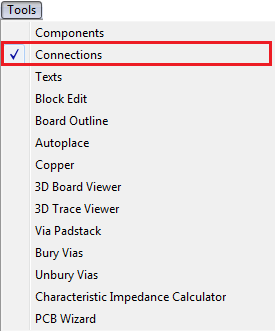 Invoking this option will provide the Unconnected Pins & Components window, where unconnected pins and components will be listed. 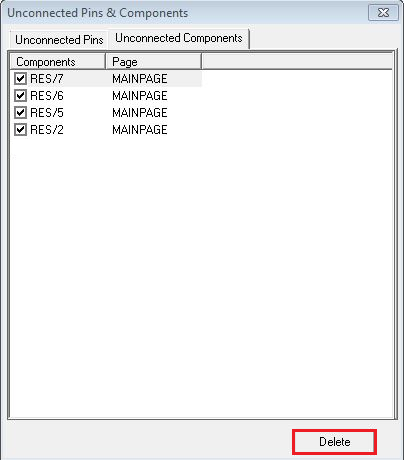 The window is facilitated with the option to select and delete the unconnected components. The components can be selected and deleted by clicking on the delete button. Junction point indicates the merging point of 2 or more connections. 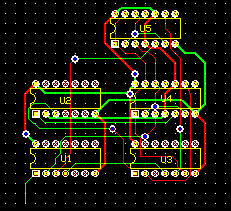 Enabling this option will create junction points in the circuit where 2 or more connections meet. EDWinXP 2.10 supports all ELECTRA compatible file formats. 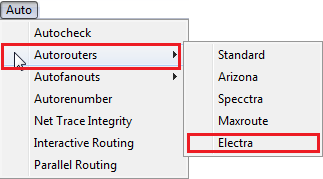 The electra translator can export current data base to ELECTRA format design files(.dsn). You can either use the pre set design rule settings or use new design rules while exporting the data base. 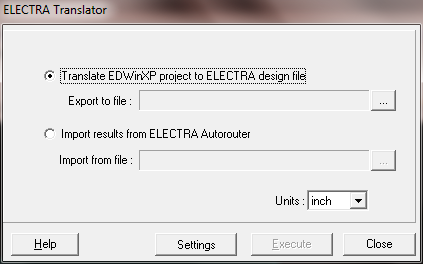 It also has the capability to import the ELECTRA Autorouters files (with extension .ses, .rte, .plc,) to EDWinXP. 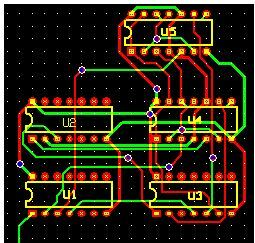 In the older versions there is no tool for changing properties of all the vias of a circuit at the same time.The new version is provided with the possibility of changing properties of all the vias at the same time. 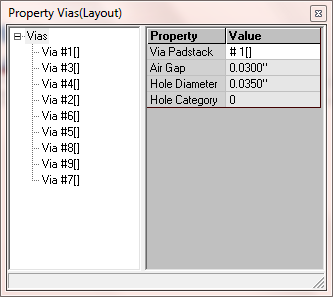 The resulting layout window is shown below. 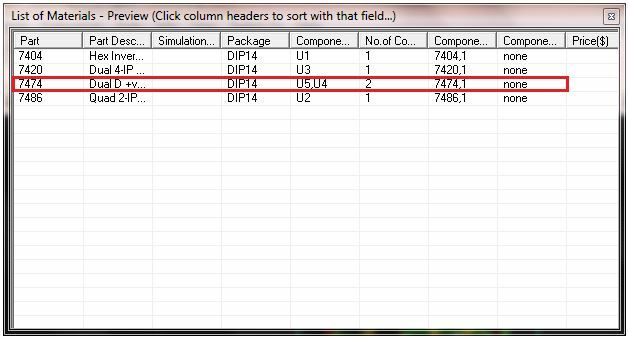 An option called Total Length is included which shows the total length of UN2. 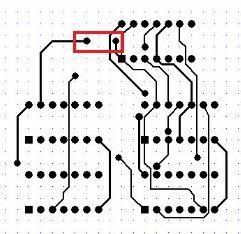 Route the components,move the mouse pointer to the jumper and click on the jumper tool ,continue routing. The portion after clicking the jumper tool is highlighted in the above window.The 3d view of the same is shown below. 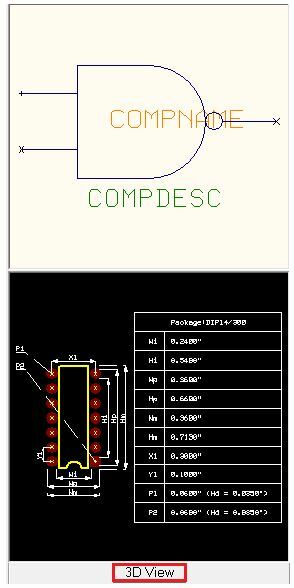 Click on the Route Option and route traces in the layout (wires in schematic). 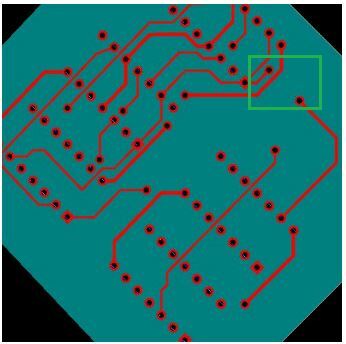 When two or more traces overlap,the overlapped traces can be removed or relocated. 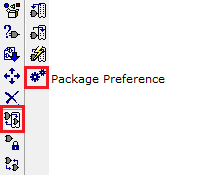 For this choose the required option tool,click on the trace. 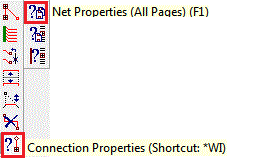 A popup window appears as shown below which confirms the trace. Clicking on YES confirms the particular trace. 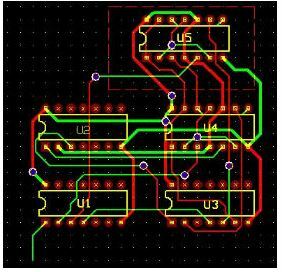 In EDWinXP 2.10, on clicking the Esc key after the copper pour flood test,the layout design of the circuit is obtained without any change rather than missing some of the connections. 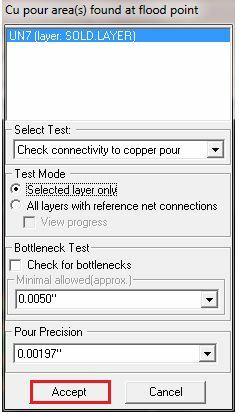 Click on copper pour area. In the window that appears,click on Accept. The output window is shown below. 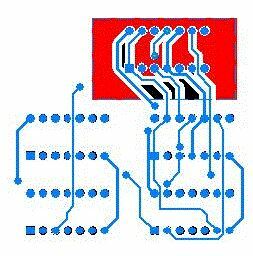 Clicking Esc key will provide the original layout design of the circuit rather than missing some of the connections. 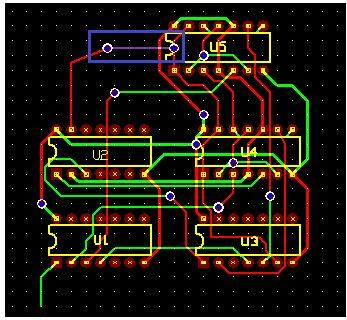 A new option called snap board outline by 45 degree is included in the PCB Layout Editor. 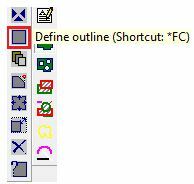 This option may be used to define outline with 45° angular snap. The outline can be defined to different directions only in steps of 45°. Select this function tool. On enabling the option snap board outline by 45 degree, the angular steps allowed for defining outline to different directions will only be 45°. 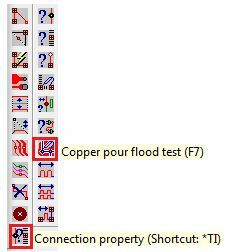 List of Copper pour Areas in Layout Editor is an additional feature. This option can be invoked from the Info menu. A window will appear that contains the list of copper pour areas in the circuit. 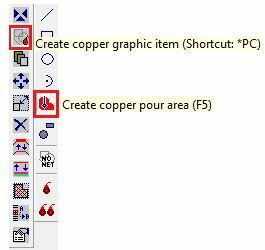 Click on Save button.Save the list of copper pour areas as html files.